It is the end of the first year of my term as your State Master. If I knew then what I know now would I have taken this challenge? I think about this all the time but I keep coming back to the answer: YES! 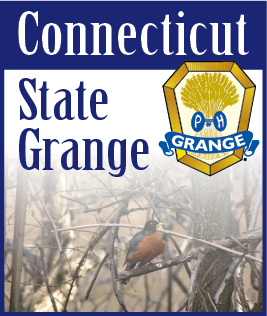 The 131st State Grange Session is here and I hope most Granges will answer the call and participate in the session’s activities, and receive the rewards of your Grange’s hard work. Resolutions are coming in and there are quite a few that will be eye raising, but please look at them with an open mind and if your committee can tweak them so they look and sound better, this is one of the jobs of a session committee, to review and improve resolutions. We will have Chris Cleland of American Senior Benefits with us to give a brief presentation on insurance benefits for elderly needs, similar to Banker’s Life that we had years ago, check them out if you need their services. This is not a hard sell just a chance for you to see what is available. National Grange convention is in Lincoln, Nebraska this year November 10-15. It will be election of officers, which will be like old time, no suggestions or nominations from the floor; this will be very interesting to see. The California Grange lawsuit should be finally over with the National Grange and the New California Grange the winners. Yet the National Grange fight for copyright continues but there seems to be fewer and smaller businesses that use the name “Grange” or other copyright protected names. As fall is upon us let everyone get out and enjoy the sights and sounds of this time of year. Fall foliage is always better in Connecticut because we have better trees and weather for them to bring out their brilliant colors. Apples and pumpkins are in abundance so visit local farm stands and bring home local produce. The Farmer’s Almanac is forecasting a winter worse than last year, so get prepared by winterizing your halls and have a plan for make-up meetings. Of course, many times weathermen can be wrong so let’s hope this is the case. See you all at State Grange Session and let’s talk, let me know how I’m doing and changes you would like to see.